Ask them to choose the ratio that felt best in their body and carry on quietly until they hear the bell. If you are doing this at home, it could be much more casual, perhaps sitting back to back and matching the square breathing rhythm. Depending on the age group, you can judge the perfect amount of time. Once the children are used to the practice, they could set a goal for the length of time they’d like to practice. Ask children to sit comfortably with a straight spine. They should have room on either side to extend their arms without touching their neighbors. Ask children to sit in a comfortable position. They can rest their hands in their lap and prepare to use one hand to count their breaths. 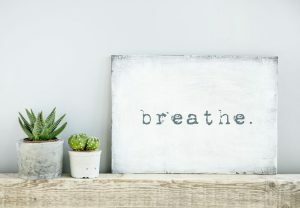 It is important to remind them to breathe at their own relaxed pace and, if they are comfortable, to close their eyes so that this can be an internal experience. I usually demonstrate a couple of breaths so that they understand and then we begin. Finish by asking them to relax their hand and sit in silence until they hear the bell. Once their attention span increases, they might decide to do 10 finger breathing and use both hands. If you would like to learn more practical tools to support your child or students, please join Dana on Thursday, November 9th for the workshop, Help Your Kids Find Calm. This entry was posted in healthy living, life & wellness coaching and tagged fitness, healthy living, healthy living toronto. Bookmark the permalink.